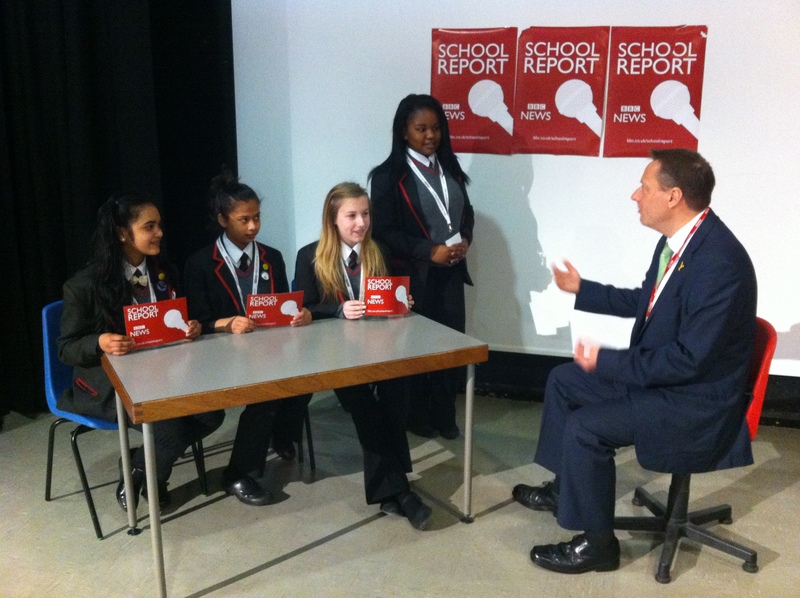 Jason visited Moor End Academy to be interviewed by year 9 pupils who are taking part in the BBC News School Report. The pupils quizzed Jason on a variety of topics including the portrayal of teenagers in the media and how young people can get more positively involved in local community. For more information on the School Report please click here. « 100 Days to Go!